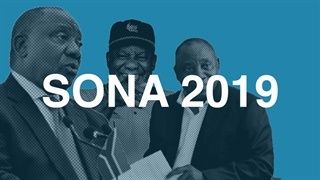 President Cyril Ramaphosa made a host of new pledges during his lengthy State of the Nation Address (SONA) on Thursday. He promised urgent intervention in infrastructure and public health, as well as giving all pupils in state schools access to tablets by 2025. Government plans to "immediately embark" on a process of establishing three separate entities – Generation, Transmission and Distribution – under Eskom Holdings. “The consequences may be painful, but they will be even more devastating if we delay,” Ramaphosa said. PricewaterhouseCoopers economist Christie Viljoen says the announcement was expected. But while some commentators expect that one or more of the entities may eventually be part-privatised, Viljoen believes this may not happen. He thinks that breaking up Eskom into three entities will save costs and help to better identify and isolate problems, making them easier to address. In this way, one big unwieldy organisation will become three leaner and meaner entities, each with a specialised focus, says Viljoen. "While this will certainly not solve all of the utility's problems, it will be enough for the government to avoid for at least some time the need for more private involvement in the energy sector." Further details of Government’s support for Eskom’s balance sheet will be provided by the finance minister in his budget speech, Ramaphosa said. 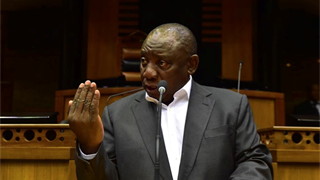 Following the success of the 2018 investment conference which attracted over in R300 billion in investment, Ramaphosa said a second conference will be held in 2019. Investment in South Africa should be spread out in projects throughout the country, Ramaphosa said. 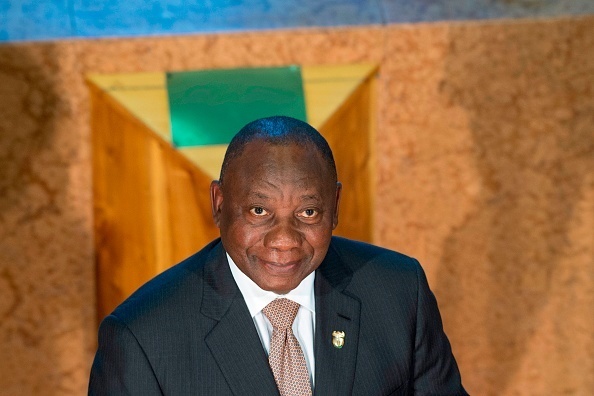 “In this regard, I have asked provincial governments to identify investable projects and ensure that we build investment books for each of our nine provinces to present to potential investors,” Ramaphosa said. Ramaphosa said the World Bank’s annual Doing Business Report currently ranks South Africa 82 out of 190 countries tracked. The state aims to be among the 50 global performers within the next three years, Ramaphosa said. A team from the Presidency, Invest SA, National Treasury and the Department of Planning, Monitoring and Evaluation will address the policy, legal, regulatory and administrative barriers that frustrate investors. It is important that more youth be absorbed into South Africa’s labour market, Ramaphosa said. The government would, therefore, do away with entry-level work experience requirement in the public sector. “Our young people need to be given a real head start in the world of work,” he said. Ramaphosa said as part of accelerated land reform, the government identified land parcels owned by the state for redistribution. Strategically located land will be released to address human settlements needs in urban and peri-urban areas, he said. The South African government will introduce a “world class” eVisa regime in 2019 to assist in growing the local tourism sector, Ramaphosa said. The goal is reach 21 million tourists by 2030, up from 10 million in 2018. Instead of applying for a South African visa at an embassy, prospective visitors will be able to apply for an eVisa online and the final visa can be printed at home. Following Total's discovery of “world-class” oil and gas in the Brulpadda field off the coast of South Africa, Ramaphosa said the government will develop legislation to ensure that it is properly regulated for the interests of all concerned. "We are extremely encouraged by the report this morning about the Brulpadda block in the Outeniqua Basin, which some have described as a catalytic find. This could well be a game-changer for our country and will have significant consequences for our country’s energy security..."
Ramaphosa said Cabinet has adopted a new infrastructure implementation model to ensure projects are implemented. He said the new model is underpinned by the new Infrastructure Fund announced in September last year. Ramaphosa said government has committed to contribute R100 billion into the Infrastructure Fund over a 10-year period and use this to leverage financing from the private sector and development finance institutions. Ramaphosa expressed deep sadness at the tragic deaths of Michael Komape, who drowned in a pit toilet at Mahlodumela Primary School in Limpopo in 2014, and Lumka Mkethwa, from Luna Junior Primary School in the Eastern Cape, who lost her life in March last year. He said the government has since August already provided safe and appropriate sanitation to 699 schools, with sanitation at a further 1,150 schools either in planning, design or construction stages. Government identified that nearly 4,000 schools require appropriate sanitation, and hopes to eradicate unsafe sanitation by 2022. The responsibility of early childhood development centres are being migrated from the social development department to basic education, Ramaphosa said. He said during the migration the government will proceed with the process towards two years of compulsory early childhood development for all children before they enter grade 1. “This is essential in equipping children to succeed in education, in work and in life – and it is possibly the single most important factor in overcoming poverty, unemployment and inequality,” Ramaphosa said. “Over the next six years, we will provide every school child in South Africa with digital workbooks and textbooks on a tablet device,” Ramaphosa said. He said government will start with the schools that have been historically most disadvantaged and are located in the poorest communities, including farm and rural schools. Ramaphosa said several new technology subjects and specialisations will be introduced into basic education such as technical mathematics and technical sciences, maritime sciences, aviation studies, mining sciences, and aquaponics. Several "ordinary" state schools will also be transformed into technical high schools, he said. If the South African government is to effectively address the substantial housing backlog it needs to develop different models of financing for human settlements, Ramaphosa said. Therefore a new human settlements development bank will be established to leverage both public and private sector financing to aid in housing delivery. 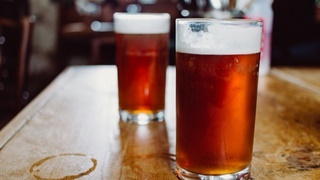 He said the state’s housing development agency will construct an additional 500,000 housing units in the next five years..
Ramaphosa promised the complete shutdown of all taverns, shebeens and liquor outlets near schools as the country deals with extremely high levels of substance abuse. Ramaphosa said he agreed with the new NPA head that an investigation directorate dealing with serious corruption and associated offences will be established as soon as possible. In broad terms, the Directorate will focus on the evidence that has emerged from the Zondo Commission of Inquiry into State Capture, other commissions and disciplinary inquiries, Ramaphosa said. I'd be hella disappointed if I Ramaphosa doesn't give us the The Buffalos. The National Health Insurance Bill will soon be submitted to Parliament. The NHI will enable South Africans to receive free services at the point of care in public and private quality-accredited health facilities. Ramaphosa said a 'War Room' in the presidency has been established to improve public heallth. "We have a funded national quality health improvement plan to improve every clinic and hospital that will be contracted by the NHI." PricewaterhouseCoopers economist Christie Viljoen welcomed Ramaphosa’s emphasis on concrete proposals in the SONA. “The president gave details on everything that was achieved over the past year, and gave practical examples of projects for the next year that in my view, look like they will deliver real results,” Viljoen told Business Insider South Africa.